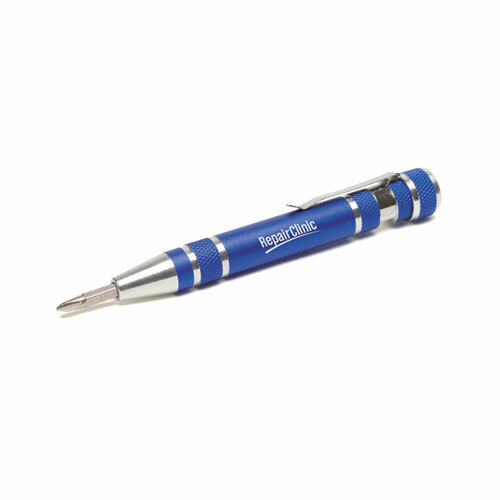 A pen Style Tool kit with Clip. The Fix-It 8 Bit Metal Pen Style Tool Kit was designed for easy tool storage and use. Eight tools are housed inside this compact unit! 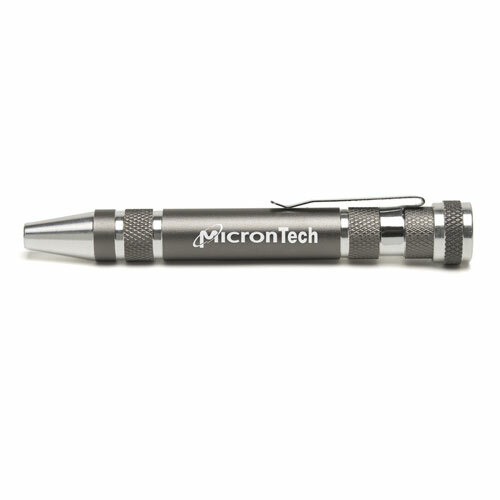 Pricing includes laser engraving imprint. Screwdriver bits are stored inside tool.8 Steel bit sizes: 1.5/2/3/3.5 mm flat head bits and PH00, PH0, PH1, PH2 Philip bits. Use this awesome marketing tool to "fix-up" your company's upcoming promotional event! 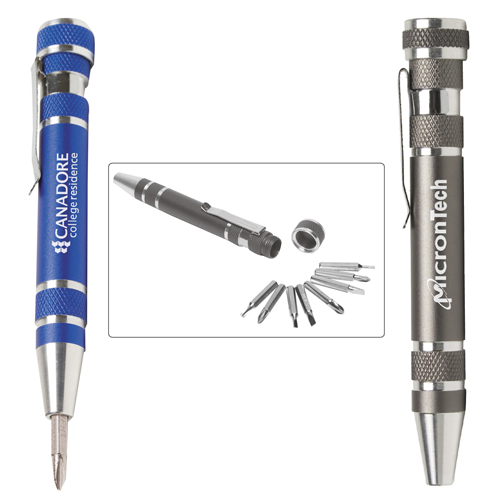 This 8 bit metal pen style tool kit with clip makes an awesome giveaway for tradeshows, conferences and conventions. This tool kit was designed for easy tool storage and use. Eight tools are housed in this compact until. This tiny tool has huge marketing potential! What a fantastic opportunity for you to promote your business. Order yours today! Gift Box / 22 lbs lbs / 200 pcs pcs. / 10" L x 11" W x 10" H box.